The 2018 Ursa Major Awards final ballot is open for voting from March 1 to March 31 on the UMA website. The winners will be announced at a presentation ceremony at AnthrOhio, to be held in Columbus, OH from May 23-26. Penelope, made by Dludnerad (AKA Tamara Carmichael) and Paul Kidd, owner Paul Kidd. SonicFox, worn at Esports Award. Costume by Yamishizen/Fursuit Enterprise. …There is precedent in other awards for frequent winners stepping back. One of the people on the Ursa Major committee told me that in a musical award, when someone wins three years in a row, they are retired from that category by the award. That’s not how the Ursas work: they have been very hands-off and admirably resistant to public opinion. When Stan Sakai won the Best Comic award multiple years running, they assured people that in time, other comics would win, and they were right. In response to my multiple wins, they have assured people that, in time, other authors will win. I have no doubt that they are correct, given the profusion of talent in the fandom. In fact, each of the last two years I have been convinced I would not win one of the two awards (perhaps neither). But I have also observed that it would probably be better for the writing scene if that day comes sooner rather than later. Ultimately, what it comes down to is this: I’ve won a dozen awards over seven years. I know you guys love me and my books. 🙂 But I’d like to help the fandom’s literary scene mature, and part of that is showcasing more of the authors that are doing really good work. My name’s already up there in the lists; let’s see some of the other people…. The 2017 Ursa Major Awards were announced at FurDU 2018 at Gold Coast City, Queensland, Australia on May 4-6. The 2017 Ursa Major Awards final ballot is open for voting from March 1 to March 31 on the UMA website. The winners will be announced at a presentation ceremony at FurDU 2018 at Gold Coast City, Queensland, Australia on May 4-6. Nominations for the 2017 Ursa Major Awards have begun and will continue until February 15. Click here to participate. To be eligible, a work must include a non-human being given human attributes (anthropomorphic), which can be mental and/or physical (for example the intelligent rabbits in Watership Down for the former, and Bugs Bunny for the latter.) Simply including an animal character is not sufficient to qualify. Non-animal characters such as Wall-E are also anthropomorphic. The awards are selected by a two-stage process of nominating and voting. Members of the public send in up to five nominations in each of the categories. The top five nominees in each category (more in case of a tie) are then presented on a final ballot for a public vote. The twelve categories are: Motion Picture, Dramatic Short Work or Series, Novel, Short Fiction, Other Literary Work, Graphic Novel, Comic Strip, Magazine, Nonfiction, Published Illustration, Website, and Game. Many nominations are likely to come from the 2017 Recommended Anthropomorphic Reading List, which has been built up through prior recommendations. However, inclusion on the List is not necessary for nomination if a work is otherwise eligible; first published during January to December 2017. The final ballot will be announced on March 1 and voting will take place until the end of March. The ballots will be counted, the trophies made, and the results will be announced at the award presentations in Surfer’s Paradise, Queensland, at FurDU 2018, scheduled for May 4-6. 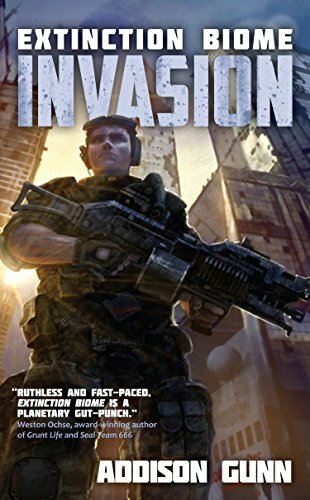 By Carl Slaughter: Malcolm Cross does military science fiction. He also gets pirated. 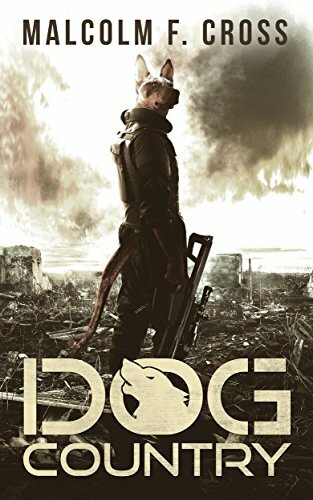 His novel Extinction Biome: Invasion, co-authored with Anne Tibbets and published under the house name Addison Gunn), was released in five eBook novellas earlier in 2016, culminating in a collected print edition in June. His novel Dog Country came out in the spring. 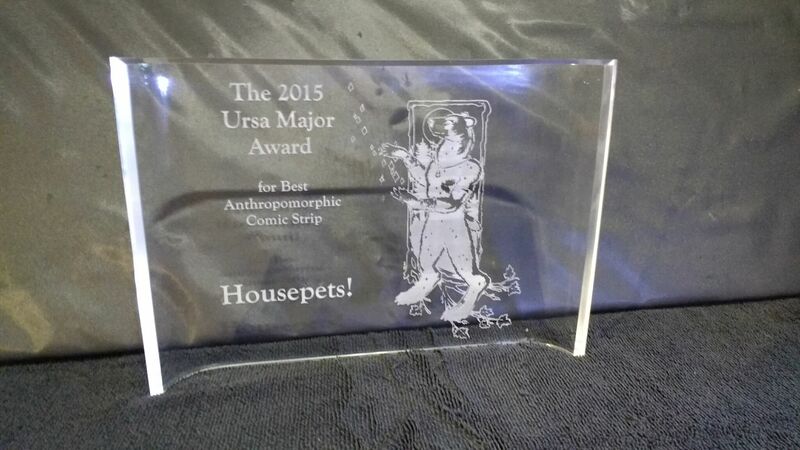 “Dangerous Jade” won the Ursa Major Award for best anthropomorphic short fiction. “Pavlov’s House”, published by Strange Horizons, was pirated by the now notorious Hungarian sf magazine Galaktika. File 770 has been providing ongoing coverage of the Galaktika investigation. The results of the 2015 Ursa Major Awards were announced at a presentation ceremony at What The Fur 2016 in Montreal, Quebec on May 20, 2016. The award is presented annually for excellence in the furry arts. 1,157 people voted. 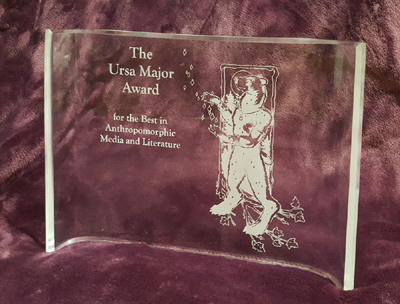 Voting for the 2015 Ursa Major Awards, for the Best Anthropomorphic Literature and Art of the 2015 calendar year, is now open. The voting deadline is April 30. The awards will be announced at a presentation ceremony at What the Fur 2016, in Montreal, Quebec, on May 20-22. Voting is open to all. To vote, go to the Ursa Major Awards website and click on “Voting for 2015” at the left. This final ballot has been compiled from the eligible works receiving the most nominations. By Fred Patten. The 2015 Recommended Anthropomorphic Reading List is now closed. Nominations for the 2015 Ursa Major Awards opened on January 14, the first day of Further Confusion 2016. The awards will celebrate the best anthropomorphic literature and art first published during 2015, the previous calendar year.